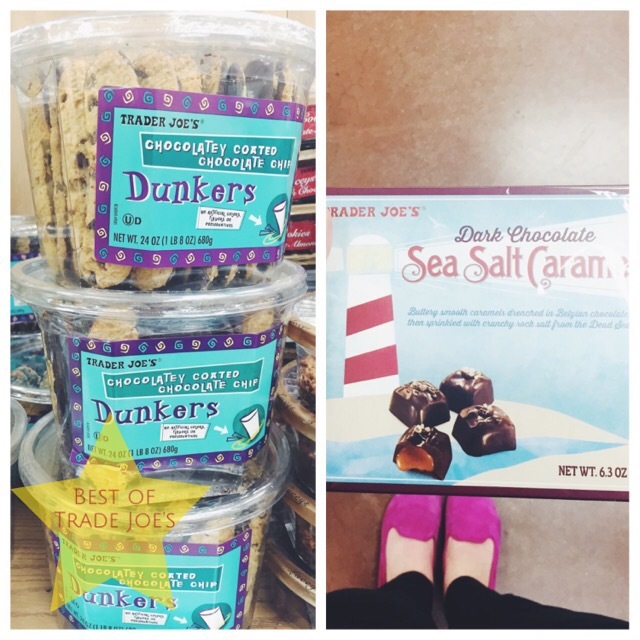 remember when i said i have tried 90% of the desserts at trader joe’s? well that was no exaggeration. 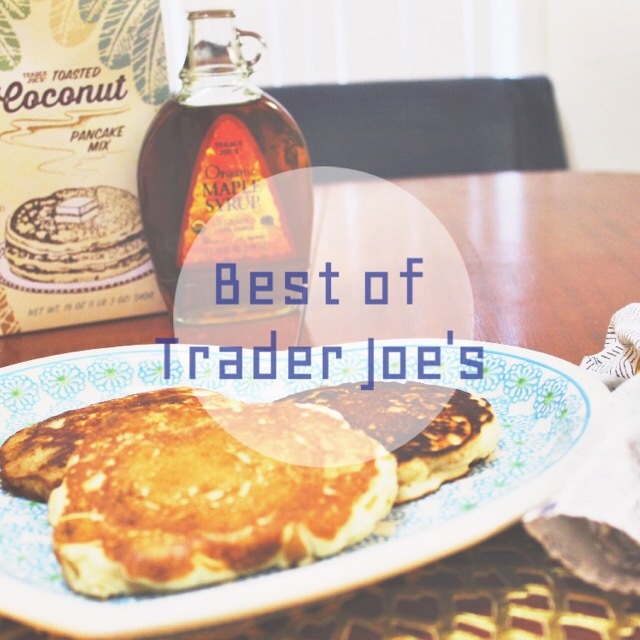 oh well i will own it and i will share another top tj (remember we are now calling trader joe’s tj because we see each other once a week and are the best of friends) dessert with you. now i am sure you all have had cookie butter by now. and if not, well then what rock have you been sleeping under? i love cookie butter as much as the next guy. i think it is an inspired and delectable product. my dad was actually the one who introduced it to me many years ago and now i think it has consistently been in their pantry ever since. i mean a nice scoop of cookie butter does a mind good. 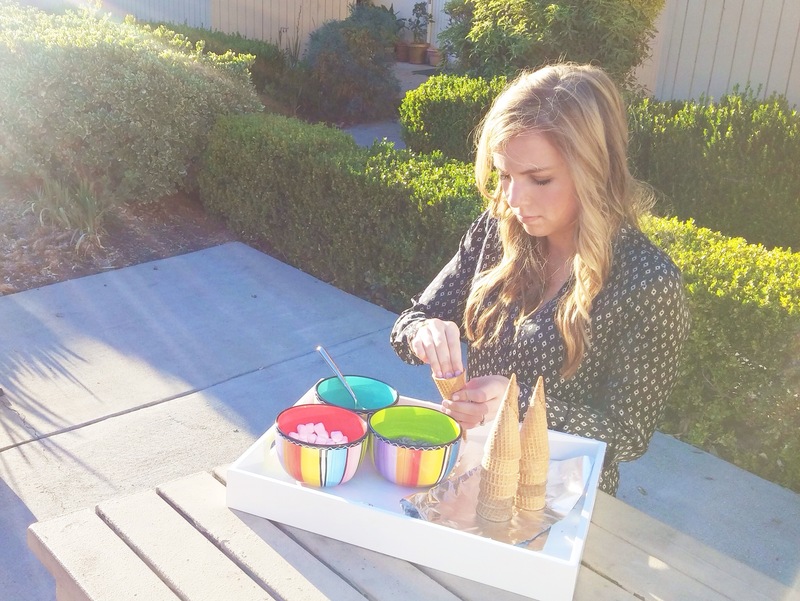 but i am more of a cold dessert lover. 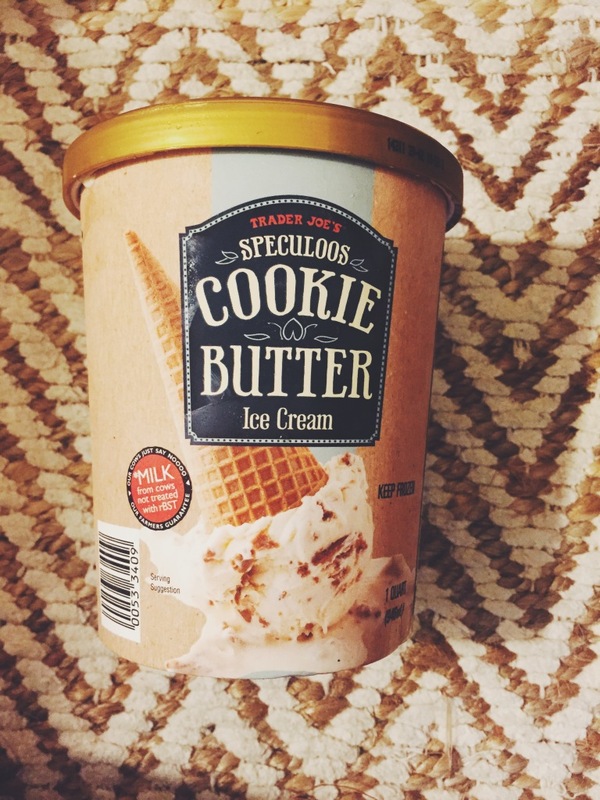 and so cookie butter ice cream is like the best of both worlds. it is a vanilla base ice cream with chunky cookie butter swirled in. and for those of you living under a rock, cookie butter almost takes like graham crackers + frosting + butter. 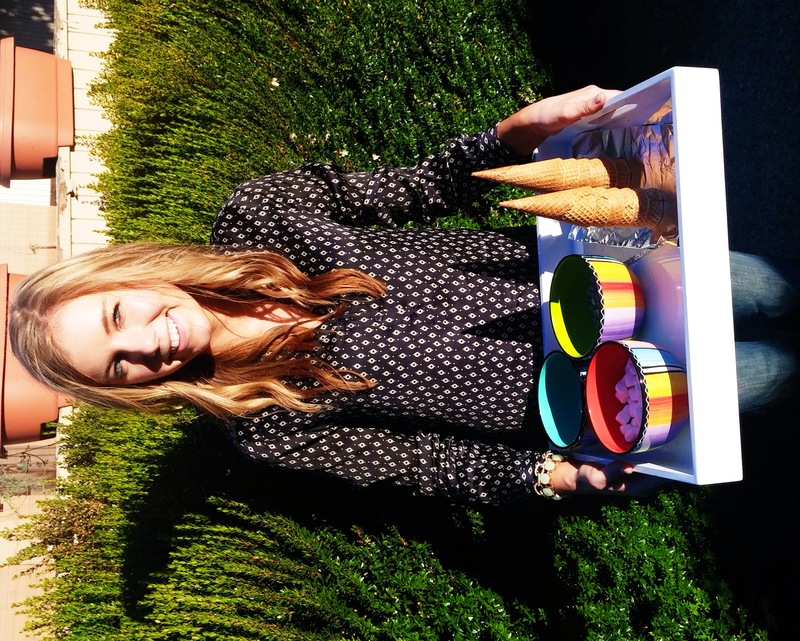 so you can imagine what a treat it is to have in ice cream form. 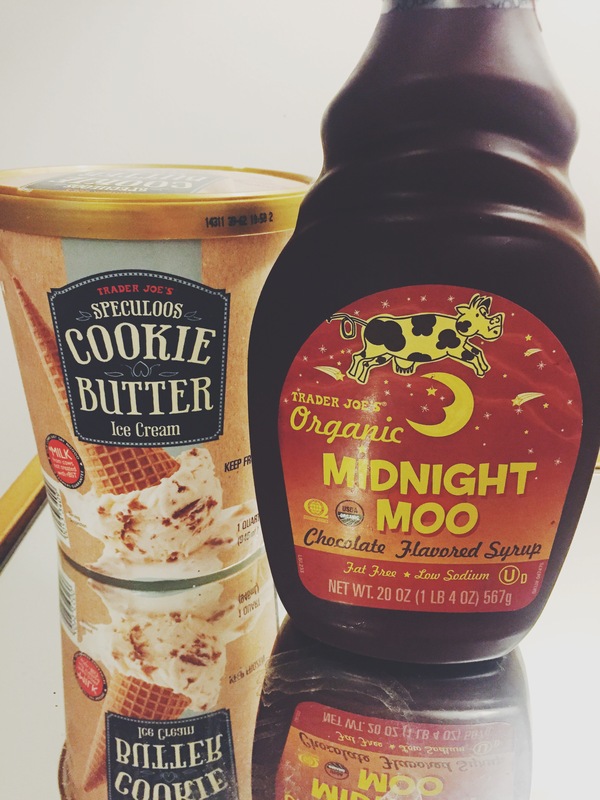 oh and don’t forget to top your cookie butter ice cream with midnight moo (tj’s substitute for hershey’s syrup but better). 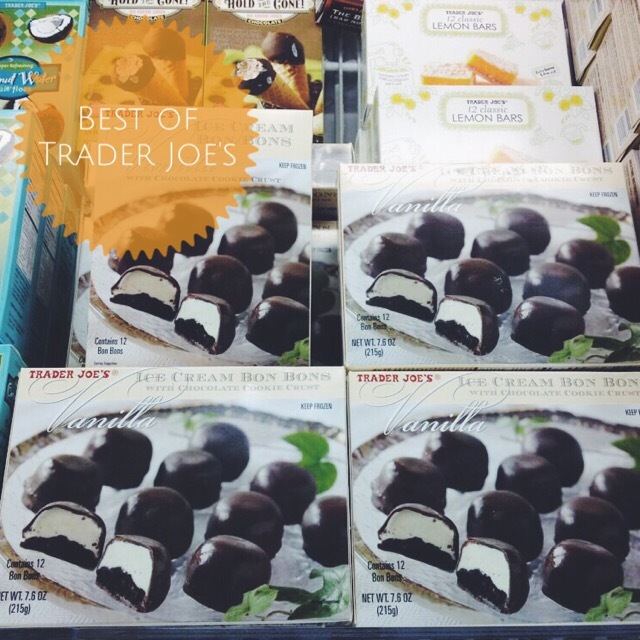 what are you favorite tj ice creams? 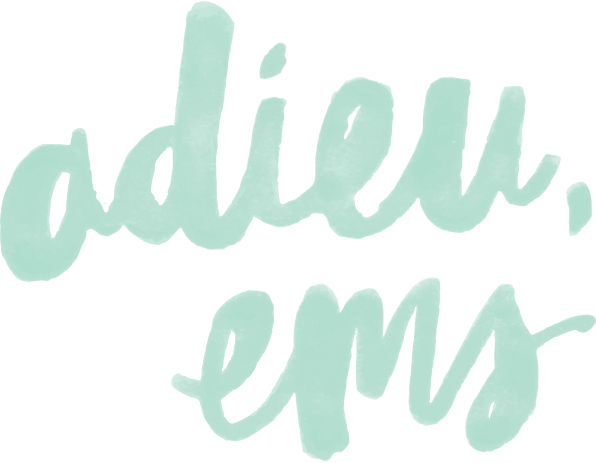 This entry was posted in Bites + Sips on 03/03/2015 by Ems. you may remember my love / obsession for cheese. b usually prepares a cheese plate for us to indulge in after dinner 2-3 times a week. we have learned a lot about the art of pairing cheese as well as our personal preferences when searching for new cheeses. we have even gotten to the point where trader joe’s cheese is no longer that appetizing to us. it lacks the diversity that whole foods or specialty cheese shops provide. 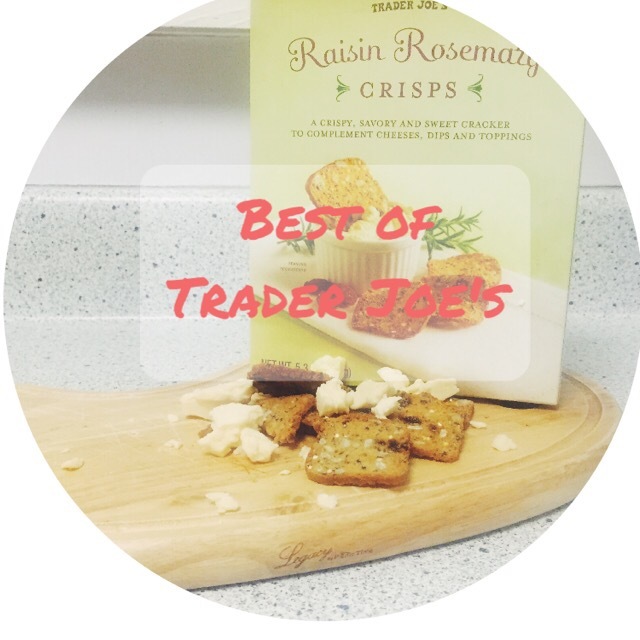 but then my friend recommended trader joe’s unexpected cheddar cheese to be eaten on raisin rosemary crisps. first because i am not a lover of raisins. i eat them here and there but don’t seek them out. second because cheddar cheese? it sounds plain. and i was completely wrong. this combo is the perfect afternoon snack or an easy appetizer for a dinner party. the unexpected cheddar cheese is creamy, flakey and flavorful and the raisin rosemary crisps are sweet, crunchy and earthy (as i am reading what i wrote for my description, it sounds bizarre but please just take my word for it). i probably could have eaten the whole block of cheese in one sitting but i am working on self control. This entry was posted in Bites + Sips on 02/17/2015 by Ems. so it was pretty much raining all weekend in the bay area. the other part of me was loving a reason to be tucked away in a good book. another thing i love to do when it is just pouring out there is bake. i feel like it is the perfect excuse to bake the day away. so guess what i did on saturday? i baked and i ate and i read and i baked. it was actually quite lovely. i am usually a busy body but it was nice to stay inside and hear the tip tappings on our roof. and now that i have baked, i have some good recipes to share with you! first up, a bountiful kitchen’s fresh lemon ricotta pancakes. okay, can i just say i think a bountiful kitchen‘s recipes are just the best? she is a mother and now grandmother so most of her recipes are tried and true — only recipes she would serve to her family. 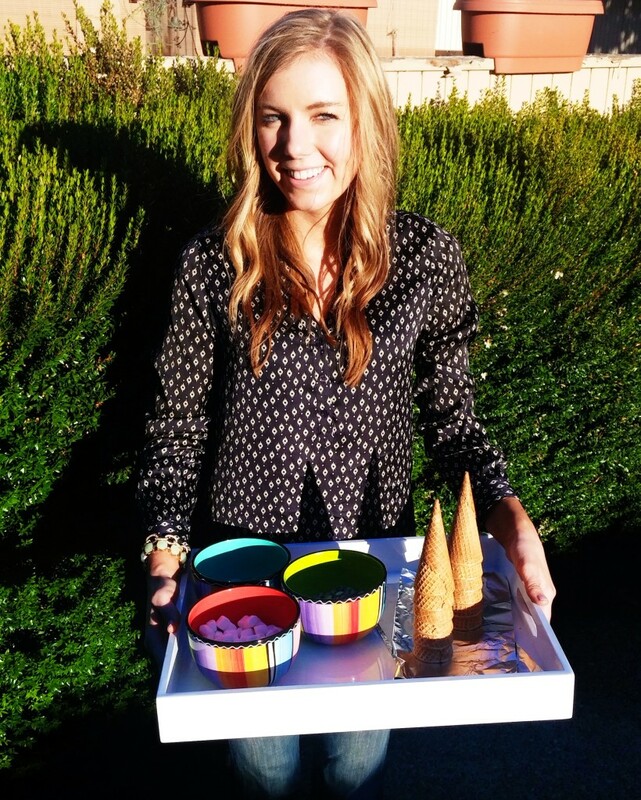 & i would definitely serve these pancakes to my family (except b hates pancakes so really it would just be for me ha). the only thing i wish was that they had more of a lemony flavor. but i may be in the minority. i am just obsessed with lemons. i would rather purse my lips after a lemon dish than not. 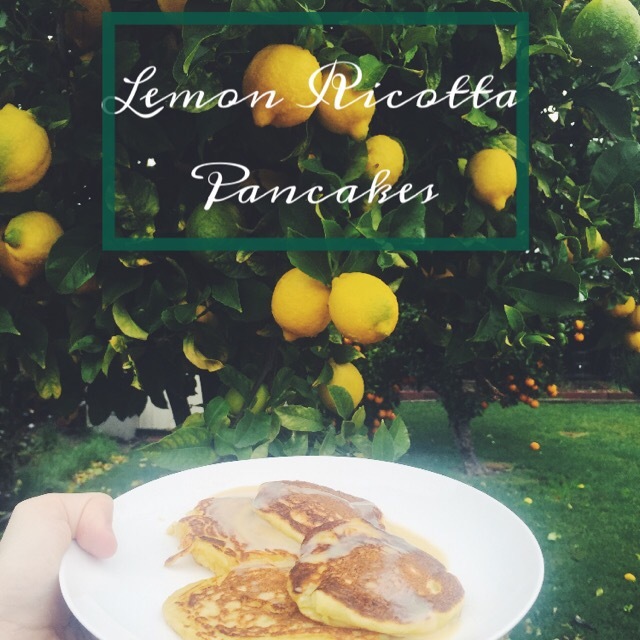 so when i am to make these pancakes again, i would add some more lemon juice or i would top the pancakes with lemon curd (and keep pancakes as they are). oh lemon curd i love you so. the above pancakes i topped with sweet condensed milk & powder sugar for a nice sugar high. i would recommend topping any type of pancake with sweet condensed milk. it is delectable. then in the afternoon, i decided i needed to make a valentine’s day treat for some friends. 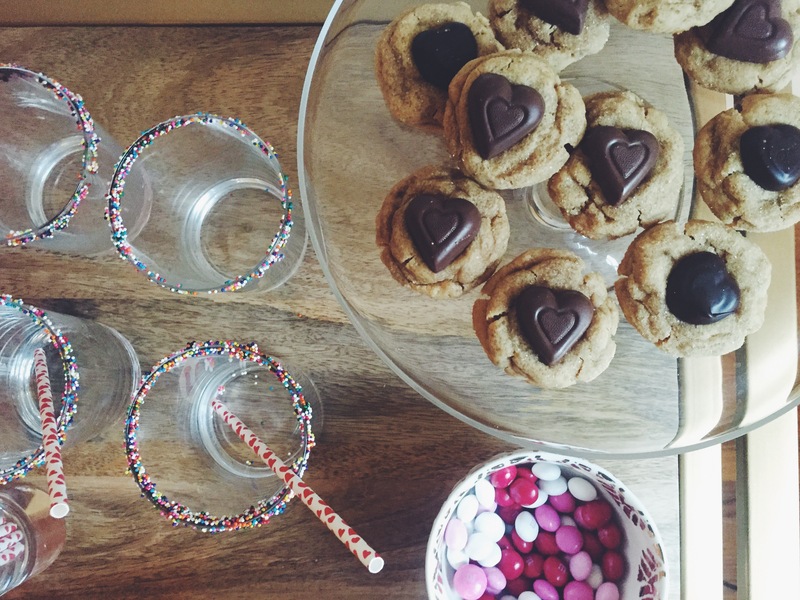 so i researched and chose peanut butter cookies topped with chocolate hearts. i found an amazing recipe here. never have i ever had such light and fluffy peanut butter cookies. and topped with chocolate hearts? i mean it is basically my idea of heaven. i strongly recommend this recipe and following all her tips. only tip i will add is don’t push the chocolate on the cookie, just lightly place. i kind of pushed my chocolates at first and then when the cookies were room temperature they crumbled a little. no bueno. just lightly place. oh and i did a mixture of dark and milk chocolate hearts. so basically i gained 5 pounds this weekend but it was completely worth it. 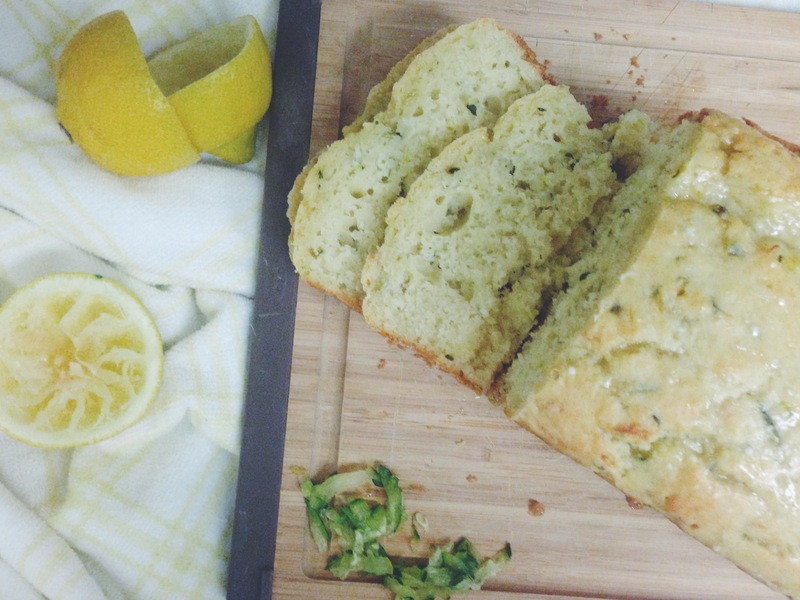 This entry was posted in Bites + Sips, Recipes on 02/09/2015 by Ems. lately I have been obsessed with all things Ina Garten. you know barefoot contessa? i really think she can do no wrong. every recipe she shares is so flavorful yet simple. this is my favorite style of cooking. it would be a dream cooking alongside her. we would swap dinner party stories, measure everything to a tee and dance to her barefoot contessa jingle. when b’s parents came to town I knew it was the perfect opportunity to go all out and try some more of ina’s recipes. we tried her lemon chicken, overnight waffles and roasted butternut squash salad. all were delectable if I do say so myself but the one that stood out to me was the salad. i loved it. b who is not a squash lover loved it. b’s parents couldn’t stop raving about it. it had all the right ingredients (not too many of them) and can be thrown together quite easily. 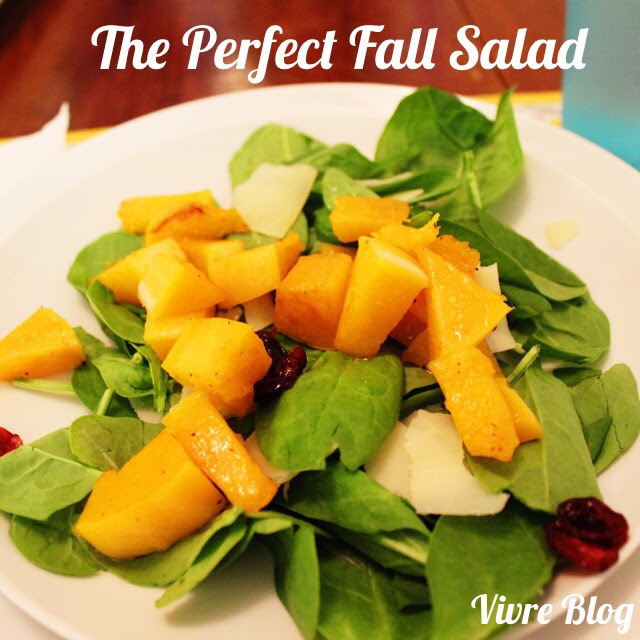 it is the perfect fall salad. **i will say we substituted arugula for spinach just because we are spinach salad lovers. i am sure either work great. another bonus is butternut squash is in season so Trader Joes has them available at a killer deal! what do you think makes a good salad? what are you favorite recipes for fall? 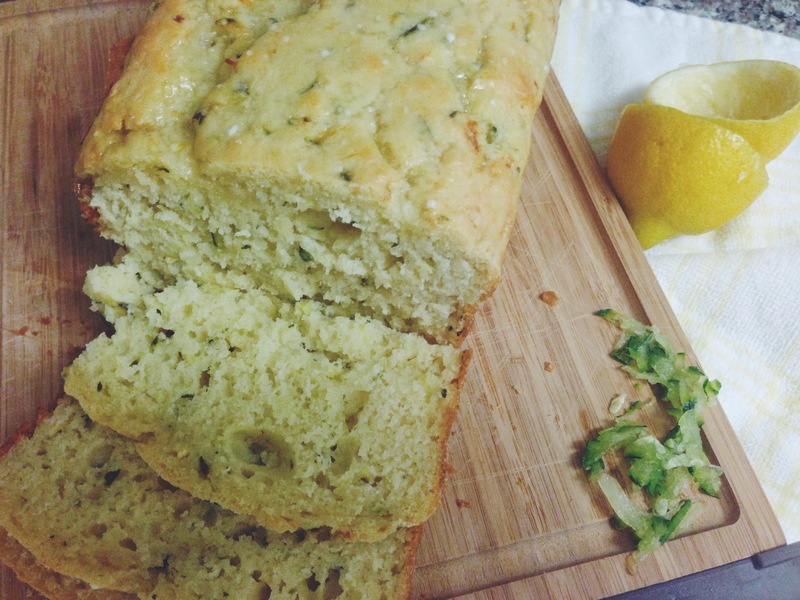 This entry was posted in Bites + Sips, Recipes on 10/07/2014 by Ems. 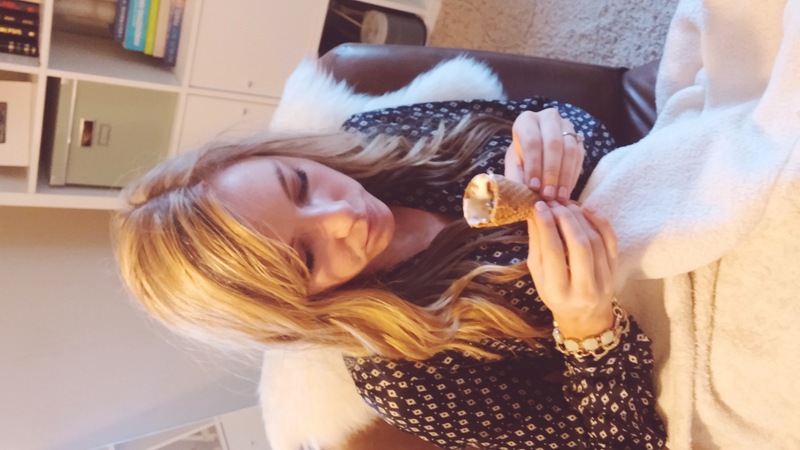 I mentioned in my previous post on Pismo Beach the idea to roast s’mores in waffle cones for a new twist on the classic campfire dessert. I got a couple responses asking for more details. Let me explain what I mean a little better…. 1. 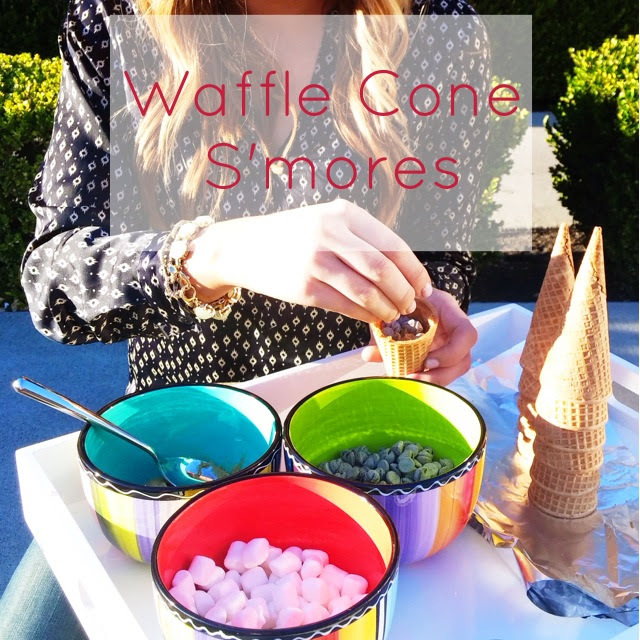 Buy waffle cones (sugar cones could work too depending on your preference) from your local grocery store (if your feeling really daring you could make your own — I am sure it would be that much more delicious). 2. 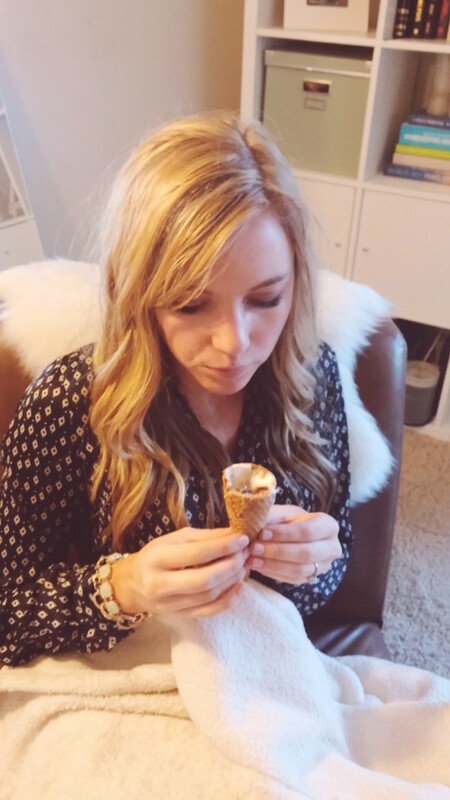 Fill the cone with mini marshmallows, skor bar crumbles, chocolate chips, peanut butter, banana or strawberries. 3. 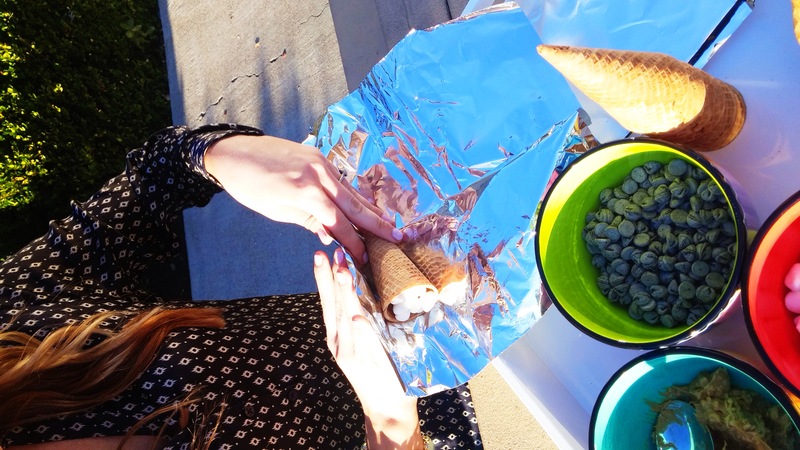 Wrap cone in tin foil. 4. 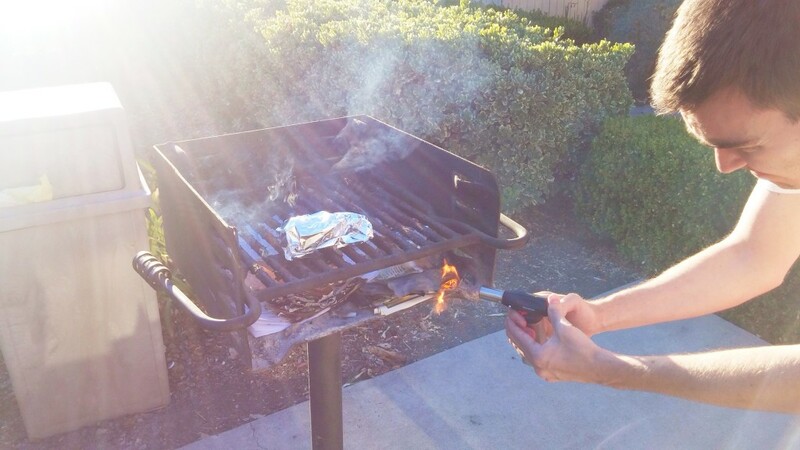 Place on open grill and let it cook for 5-10 minutes. 5. 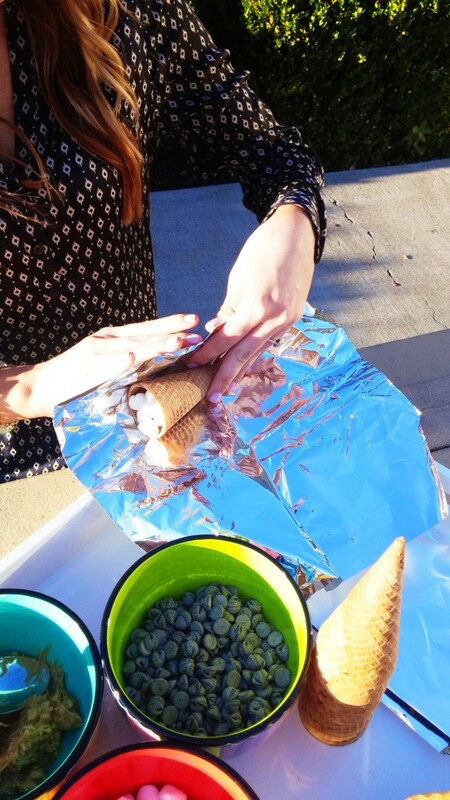 Remove tin foil and enjoy! I learned this method one night when I was volunteering with the cub scouts. 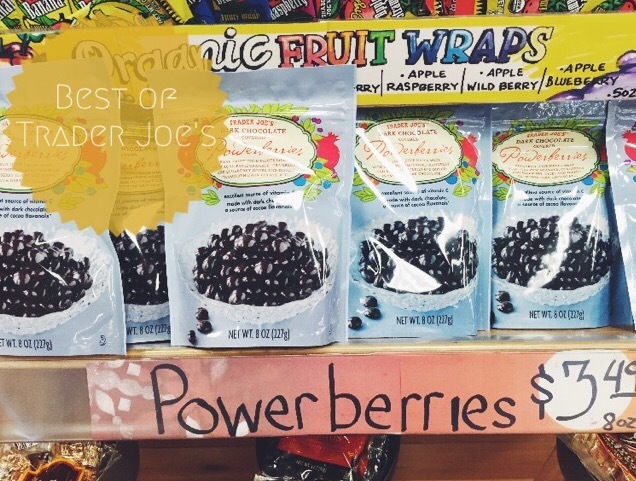 I thought it was such a great idea — especially with young kids since it is so much less mess. 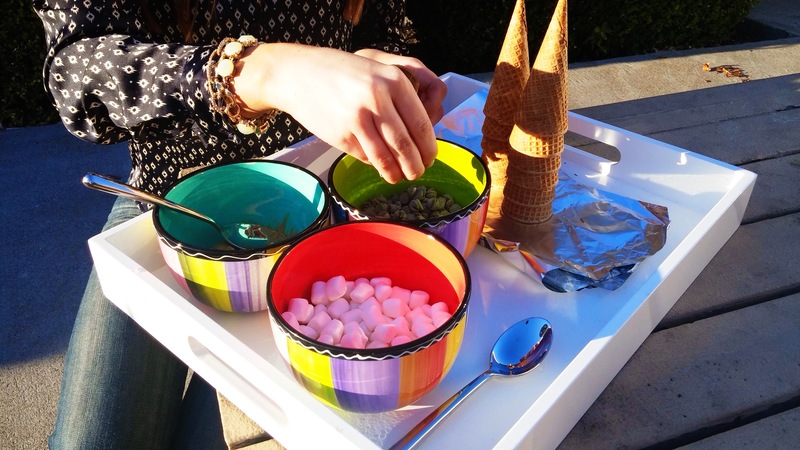 What are you favorite ways to cook s’mores? 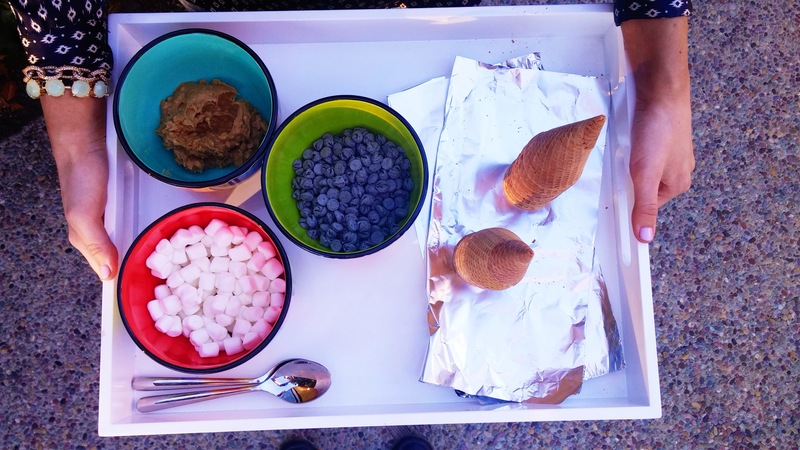 This entry was posted in Recipes and tagged S'mores, Summer Treat, Waffle Cones on 07/24/2014 by Ems.